If you are looking for a used Hyundai Elantra in Kitchener Waterloo, Cambridge and surrounding area, the Gemini Motors sales team will be able to satisfy your needs. Gemini Motors always has a great selection of pre-owned Hyundai Elantra in stock and add to the vehicle inventory daily. At Gemini Motors we proudly sell and service used Hyundai Elantra to customers from Kitchener Waterloo, Cambridge, Guelph, Fergus, Brantford, Guelph, Petersburg, Wellesley, Stratford and the Southern Ontario region. A Coupe variant has been added to the Elantra line-up for 2013. The sedan GLS trim now sports 16-inch wheels and tires, cruise control, air-conditioning and a telescoping steering wheel. The sedan Limited trim gains a power driver seat with lumbar. Source: Chrome Data. 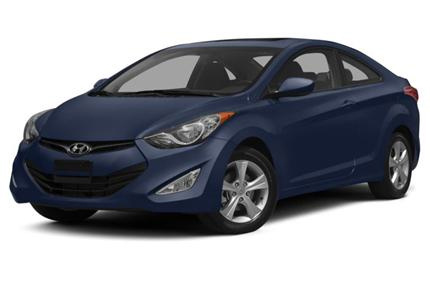 The Hyundai Elantra combines a roomy cabin, lots of equipment, impressive fuel economy, and a low price. -- Consumer Reports. Source: Chrome Data.